Are you looking to become a janitor, but have little to no experience? This free downloadable sample, matching cover letter, and writing guide will help you craft a resume that highlights your skills and abilities. Energetic and passionate entry-level professional seeking a full-time janitorial position. Seek to use my proven skills and knowledge to provide a safe and, healthy environment for your customers. Dedicated employee and possesses a strong work ethic with fastidious attention to detail. Part-time Hotel Janitor directly managing and ensuring efficiency for the timely completion of janitorial operations specific to the assigned areas. Read the following tips to write a janitorial resume that WILL land you more interviews. With the following tips and information on average maintenance industry salaries you should be able to win any interview. All entry-level resumes must begin with the “Education” section, because you are either still taking or just completing coursework, or have no previous work experience. Fortunately, entry-level janitorial jobs do not have an education level requirement — however, more educated candidates are more likely to get interviews and thus having education to list is a great resume builder. For the most part, janitors will be trained on the job by a more experienced employee. If you have no experience whatsoever, you will need to write a very convincing cover letter to have the employer take a chance on you. The Education section is a critical component of any entry-level resume — be sure to read our Education section writing guide here. Also, it’s important to know that if you attended ANY college, even without graduating, you should NOT include your high school in the “Education Section”. Let’s examine this applicant’s “Education” section. As you can see, he attended the Hotel and Restaurant Management Certificate Program, and lists his relevant coursework. Entry-level candidates can write longer “Education” sections because they do not have as much work experience, and their activities in college can help give the hiring manager a better grasp on their personality and activity level. Therefore this applicant also included his soccer team membership, and his position as Vice President of the Hispanic Student Association on his resume. Quantifying your professional experience helps the hiring manager more easily understand your achievements and scope of responsibility. The best resumes are achievement oriented, meaning they describe not just the duties you performed, but how well you performed them. Learn how to write an achievement oriented resume here. At the bare minimum, let the hiring manager know the size of the establishment you worked in. Going the extra mile to quantify achievements, such as % efficiency increase, % customer satisfaction increase, or % accidents decreased will help your resume stand out from the pile. There aren’t any specific degrees required to become a janitor, as the position is usually learned through apprenticeships and other on-the-job training programs. Some programs offer certificates while others offer direct employment upon completion of training. Training averages between 1-2 years. There are some formal certifications you can obtain should you wish to pursue employment outside of the traditional apprenticeship model. If you already have skills with hand and power tools, or can do repairs for plumbing and electrical, you will be a shoe in for the job. BSCAI Certificate: The BSCAI stands for “Building Service Contractors Association International” and is a certificate in building management that is recognized internationally and a good addition to all you globetrotting janitors out there. CBSE Certificate: The CBSE is a certificate offered through the BSCAI and stands for “Certified Building Services Executive”. This is a great addition to any budding janitors portfolio of certifications. RBSM Certificate: The RBSM certificate is also offered by BSCAI and stands for “Registered Building Service Manager” and is usually obtained in order to later apply for the above mentioned CBSE. 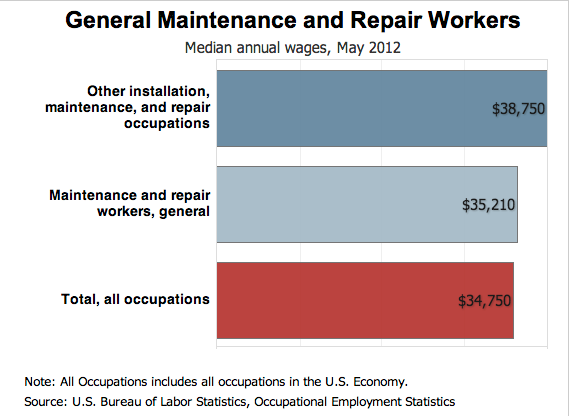 As stated earlier, janitors will mostly be trained on the job by a more experienced employee. However, if you already have skills with hand and power tools, or can do repairs for plumbing and electrical, you will be a shoe in for the job. Other skills such as Spanish also make great additions to maintenance-oriented resumes, as it allows workers to communicate with growing numbers of Hispanic workers. Definitely include these types of skills in your resume, like Steve did in his. That’s how to build an excellent janitor resume. Resume Genius wishes you will in your job search, and remember that the resume is only one part of the job search.